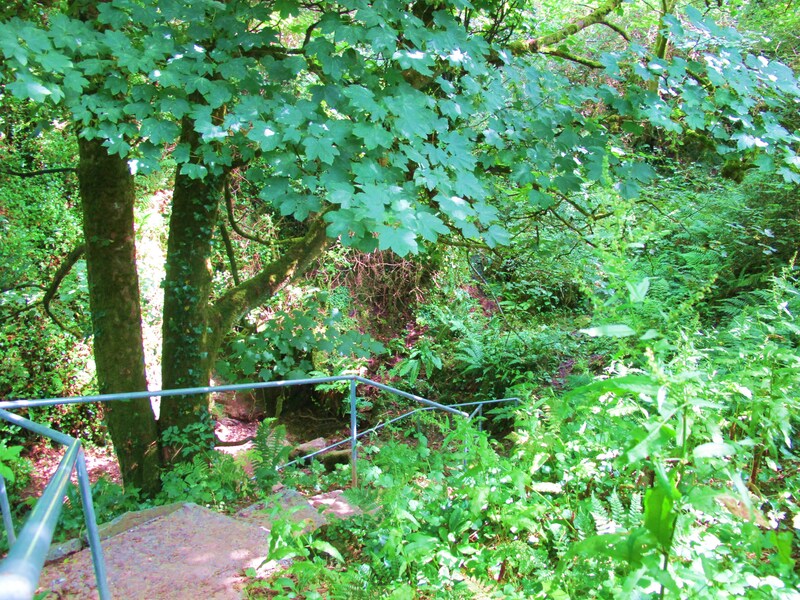 The trail takes visitors to the original cave entrance set in a magical glade. 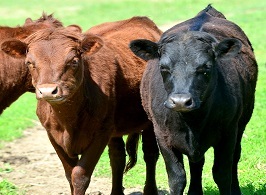 Along the way you will encounter some farm animals including rare breeds of cattle, pygmy goats and Soay and Jacob sheep, ducks and chickens. There are beautiful views of the glacial valley and Ballinalacken Castle from the hillside. 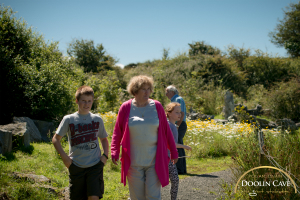 It is an opportunity to take a relaxing stroll through the peaceful surroundings of Doolin Cave among indigenous woodland plants, trees and wildflower meadows. Soak up the peaceful surroundings on the limestone seating along the way. 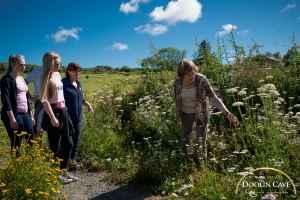 Use the key discovery points along this gentle walking trail to learn about the Burren overground with deep insights to the formation of the landscape and indigenous Burren flowers. 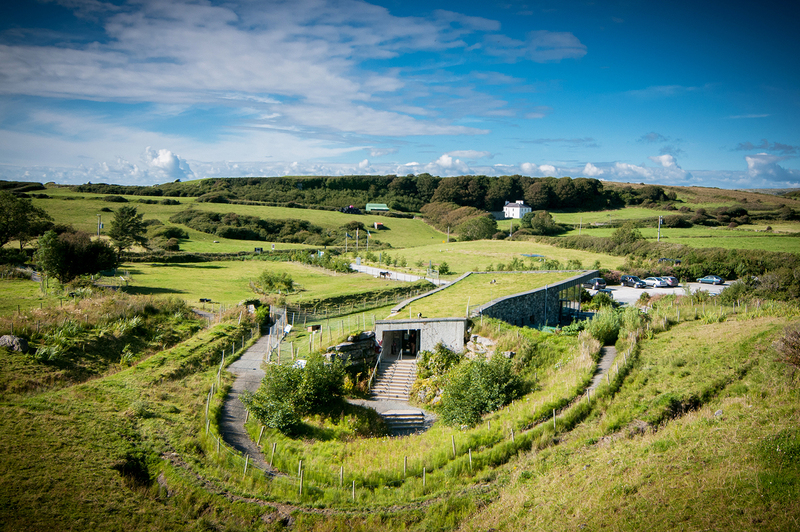 The Burren is the only place on the planet where alpine, arctic and medditerranean plants grow side-by-side The nature trail at Doolin Cave also has magnificent views of the surrounding Doolin and Burren landscape stretching as far as the 12 pins in Connemara making for super photo opportunities. Stone seating along the route. 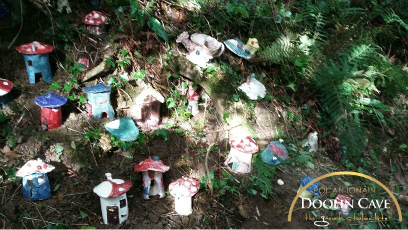 Highlights include: the original cave entrance, Enchanted Hallow Fairy Village, Rare Breeds of Animals on the Trail, indigenous Burren Flora. Last Admission: 30minutes before the cave closes. 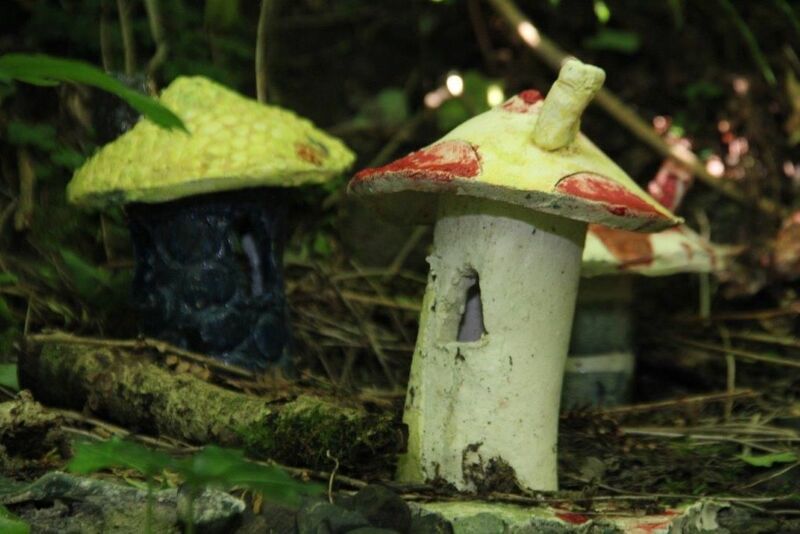 In June 2015, Caireann Browne, potter @ Doolin Cave ran a pottery workshop for children from the local Primary Schools of Doolin, Lidsdoonvarna and Fanore who made their own fairies, fairy houses and troglodytes. 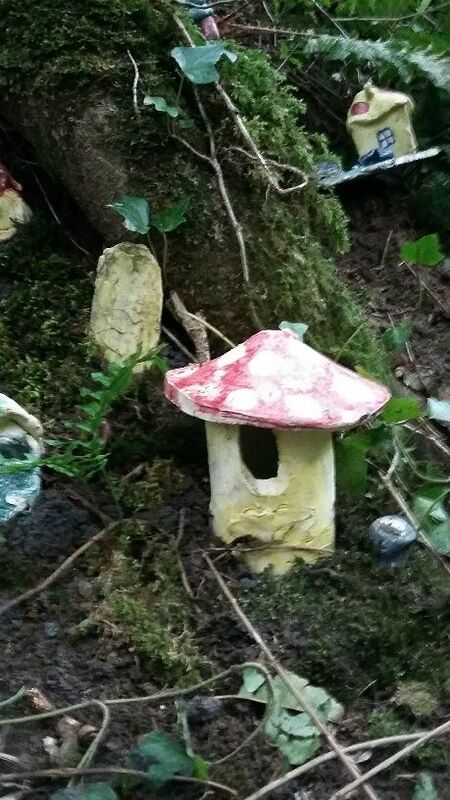 The Fairy Villlage is now in place at the original cave entrance where it will remain indefinitely. 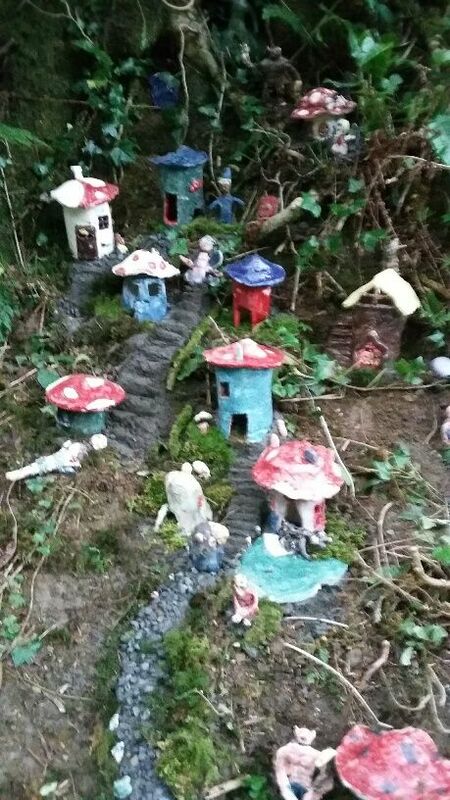 All of the children who took part in the workshop will recieved a fairy birth certificate and deeds to their fairy houses at an official ‘Opening Ceremony’ on Sunday November 1st 2015. We have planted native, indigenous shrubs and trees in order to maintain the biodiversity of the area. . Biodiversity encompasses all living things – humans, animals, plants, birds, fish and the habitats in which they live. Globally, biodiversity is being lost due to increasing development, climate change, invasive alien species and the international trade in endangered species. 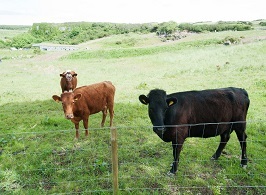 Native hedgerows act as a haven for wildlife. They form wildlife corridors that allow animals, big and small, to move through the landscape, while providing much-needed food and shelter. 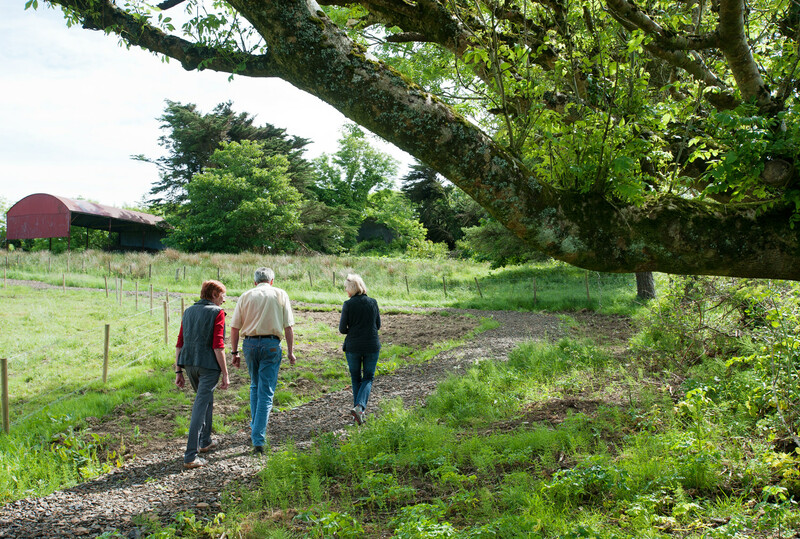 Hedgerows also provide shelter and screening , improve the scenic appearance of the landscape are part of our historical and cultural heritage and thus help create a sense of place. The Nature trail affords some great views along the way. There is a glacial valley which was carved out by a moving glacier during one of the Ice Ages, the last of which was 12,000 years ago. A glacial valley is a steep-sided, U-shaped valley formed by the erosional forces of a moving glacier. As the ice melts and retreats, the valley is left with very steep sides and a wide, flat floor. The Irish name, Pol an Ionain means the Ivy Cave after the steep cliff at the original cave entrance. The O’Briens were one of the most powerful families in Ireland at the time and built many castles of which Ballinalacken is one of the most impressive. The cave was discovered in1952 by J.M. Dickenson and Brian Varley of Craven pothole Club based in the Yorkshire Dales. They were students at the time charting the caves of the Burren area with their university. They left their group on Whitsunday and went exploring on their own. They noticed a small stream disappeared at the bottom of a huge limestone cliff. They pulled back some boulders and dug their way into a narrow passage and managed to wriggle their way for about a quarter of a mile until they reached the large chamber that contains the stalactite. The rolling hills of Burren are composed of limestone pavements with criss-crossing cracks known as “grikes”, leaving isolated rocks called “clints”. The region supports arctic, Mediterranean and alpine plants side-by-side, due to the unusual environment. The limestones, which date from the Lower Carboniferous Era, formed as sediments in a tropical sea approximately 350 million years ago. The strata contain fossil corals, crinoids, sea urchins and ammonites. Glaciation during the Ice Ages facilitated greater denudation. 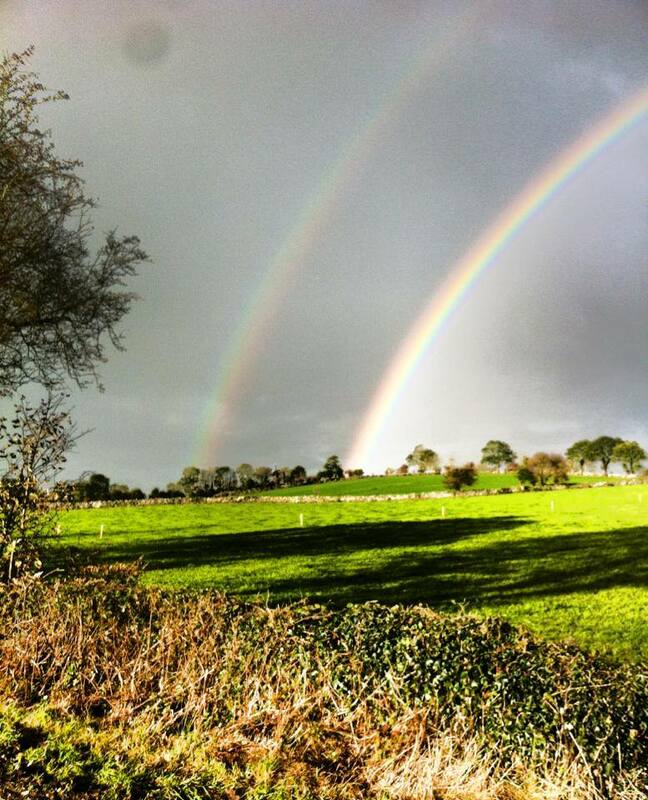 The result is that the Burren is one of the finest examples of a glacio-karst landscape in the world. The effects of the last glacial period, around 10,000 years ago, are most in evidence, with the Burren overrun by ice during this glaciation. Solutional processes have widened and deepened the grikes of the limestone pavement. Pre-existing lines of weakness in the rock (vertical joints) contribute to the formation of extensive fissures separated by clints (flat pavement like slabs). The rock karstification facilitates the formation of subterranean drainage. 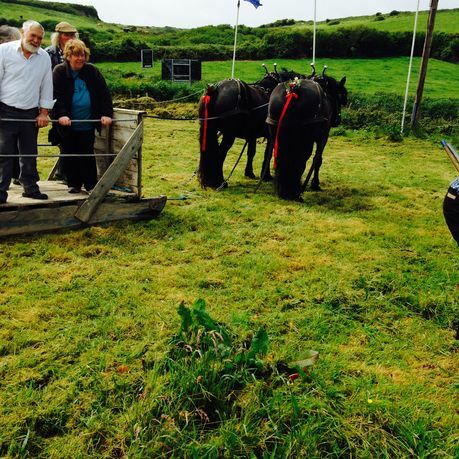 The Burren is renowned for its remarkable assemblage of plants and animals. 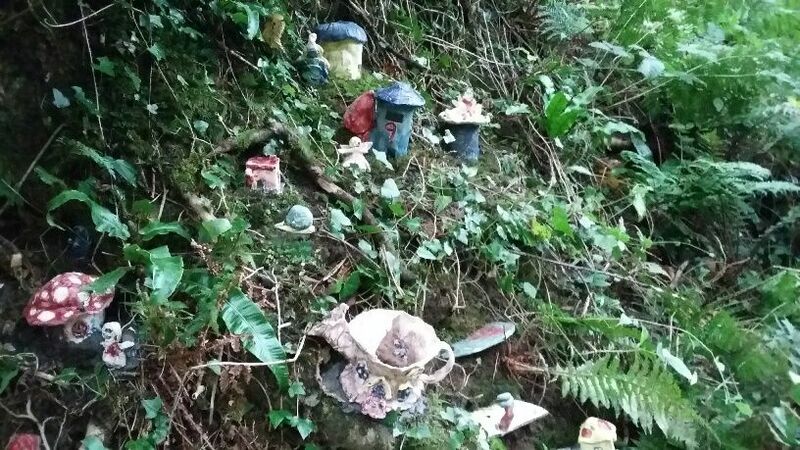 The region supports many rare Irish species, some of which are only found in this area. Others occur in similar karst areas in western Ireland. Notable insects present in the Burren include the butterfly the Pearl-bordered FritillaryBoloria euphrosyne, Brown Hairstreak Thecla betulae, Marsh Fritillary Euphydryas aurinia and Wood White Leptidea sinapis; the moths, the Burren Green Calamia tridens, Irish AnnuletOdontognophos dumetataand Transparent Burnet Zygaena purpuralis; the hoverfly Doros profuges and the water-beetle Ochthebius nilssoni. This last species is known from just 5 sites in the world, its type locality in northern Sweden and four marl lakes in the Burren.